We’re still newly into 2018! And tradition dictates that we ring in the New Year with some bubbly. 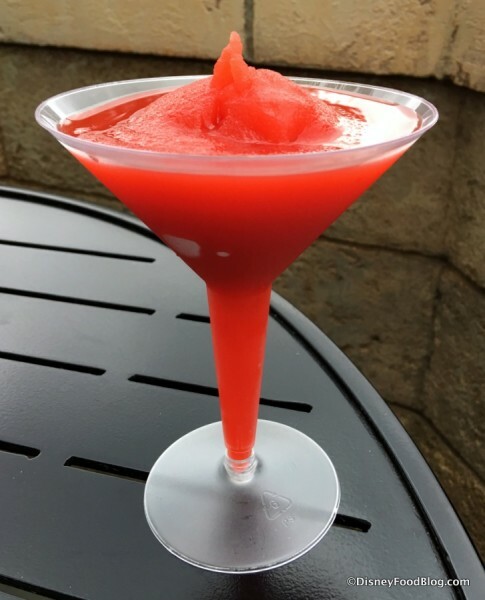 While that’s never a bad choice when the clock strike midnight, I’ve got some ideas for ways you can celebrate with a drink in Walt Disney World no matter what time of year your visit falls in 2018! These are some of the sips we most enjoyed over the past year… and can’t wait to enjoy again in 2018! Did you think Amorette’s Patisserie showcased nothing more than artful cakes and pastries? Then think again. 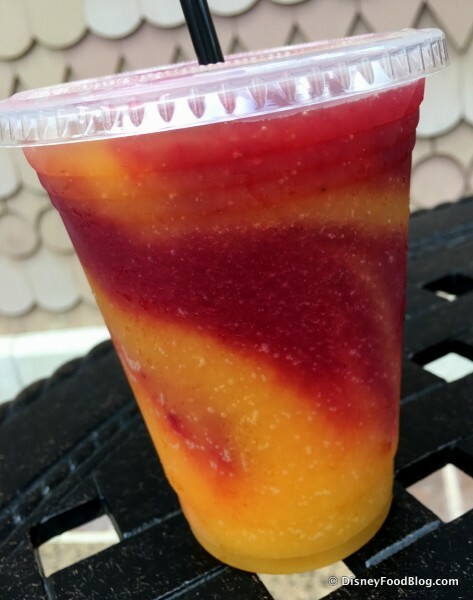 Because this Disney Springs sweet spot is home to the vino that went VIRAL in 2017: Wine Slushies! 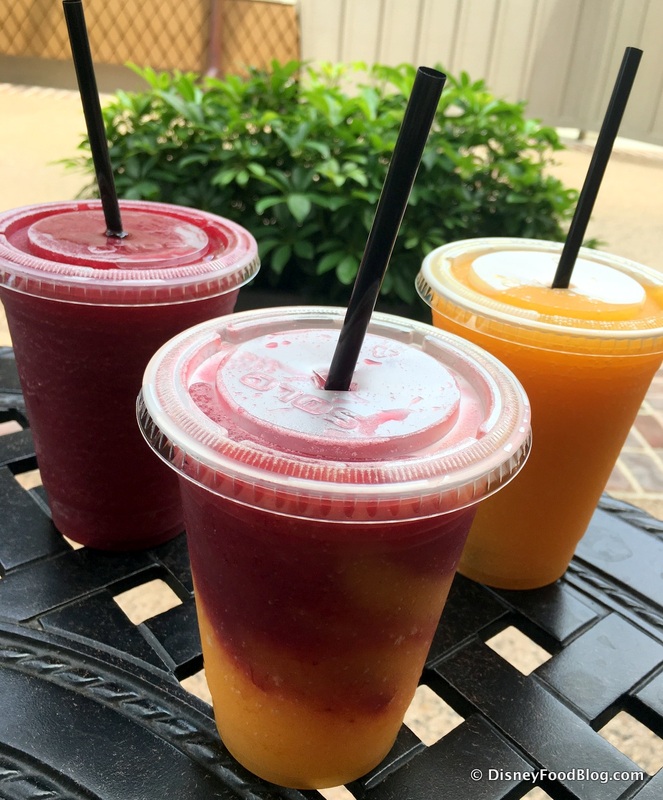 Choose from two fruity flavors: Strawberry Shiraz and Mango Moscato (an Apple Cider Riesling even appeared on the menu for the 2017 holiday season). Better yet, ask for a swirl of both for one of our favorite DFB hacks! Ok, so technically we didn’t enjoy these drinks until 2018, because The Edison JUST opened in Disney Springs. 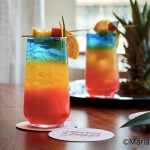 But the Edison Signature Cocktails have earned a spot on this list, due to the creative mixology-based menu (plus the super fun bartenders who mix them together)! 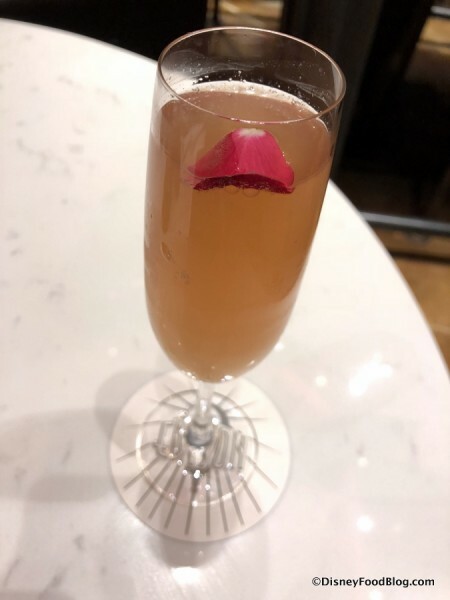 We especially liked the luxurious mix of Stoli Elit Vodka, Amaro Montenegro, and sparkling Domaine Chandon with pomegranate and lemon that makes up The Mistress. 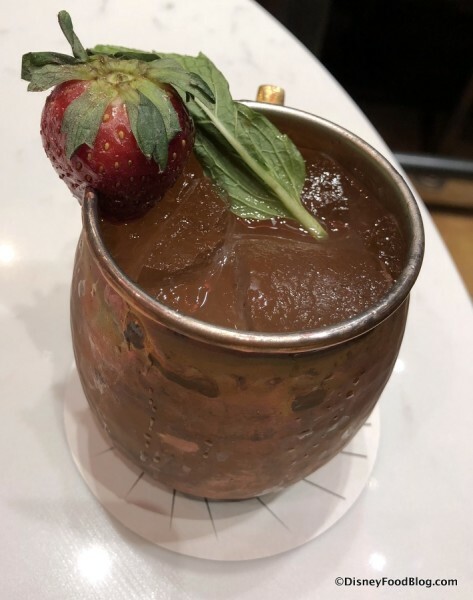 But we also want to give a nod for the feisty kick we enjoyed from the Boiler Mule, comprised of Reyka Islandic Vodka and Ancho Reyes for some spice with cider, ginger beer, and cinnamon. Peruse the full menu for the Edison Signature drinks here. We’ll definitely be doing so again on our next visit to try a few more! Though Choza de Margarita was long overdue from its originally scheduled early 2017 opening (finally making its debut in mid-November), we’ve found that it was worth the wait. 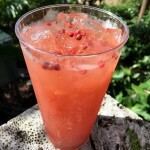 And that is in no small part due to the Choza’s Guava Pink Peppercorn Margarita! While we’re here 😉 , the return of the Fiesta Margarita garners a mention, too. This frozen margarita layers Classic Lime, Wild Strawberry, and Mango with more depth of flavor than its previous incarnation at the former Margarita kiosk that used to reside in Epcot’s Mexico Pavilion. 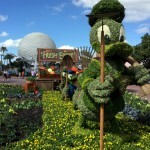 We’re so glad it’s back and even better than before! How about a “Choose Your Own Adventure” for your next 2018 sip? 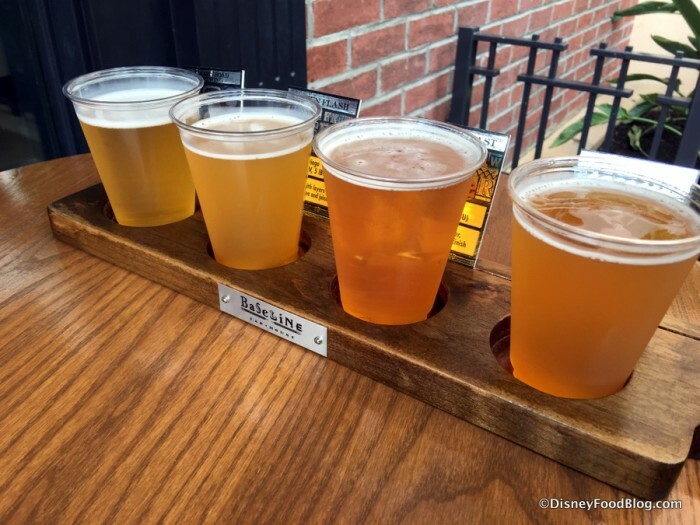 That’s exactly what you can do when you Create Your Own Beer Flight at the BaseLine Tap House, which opened in late September in Disney’s Hollywood Studios. California craft ales, lagers, and a cider are among the main offerings of the Tap House (in keeping with the bar’s California setting in the new Grand Avenue section of the park), and Create Your Own Beer Flights allow you to mix and match four of your choosing. With the debut of the Festival of the Arts and the expansion of the Festival of the Holidays, 2017 turned Epcot into a (nearly) year-round Festival park! 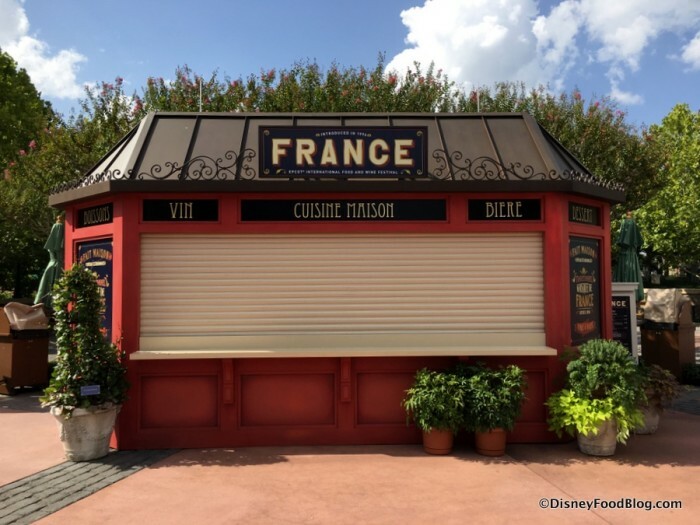 The France Pavilion hosts a booth at each of the four Festivals that take place throughout the year, bringing another Slush-with-a-kick to the scene every time… and they just about always make our Must-Try list for each particular Festival. 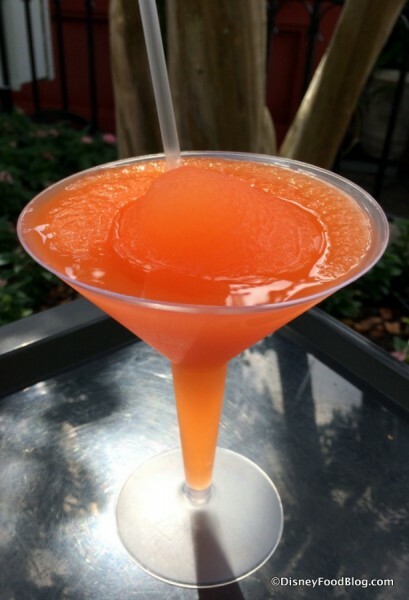 Of course, Adult Slushes are by no means new to Epcot’s France Pavilion, as home to two veritable classics: the Grand Marnier Orange Slush and the Grey Goose Citron Slush. You can enjoy either (or both!) of these no matter what time of year you visit. 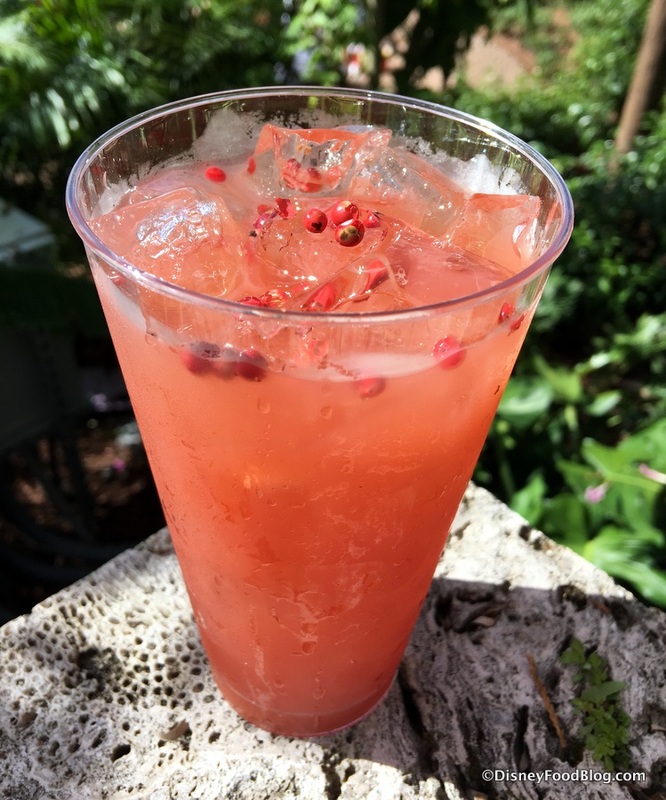 But Spring’s Flower and Garden Festival typically brings the La Vie en Rose Frozen Slush to the Fleur de Lys Outdoor Kitchen, made with Grey Goose Vodka Orange, St. Germain Liquor, and white and red cranberry juice. La Passion Martini Slush has been the offering at the France Marketplace Booth for the fall’s Food and Wine Festival, comprised of vodka, Grey Goose Le Citron, and cranberry and passion fruit juices. 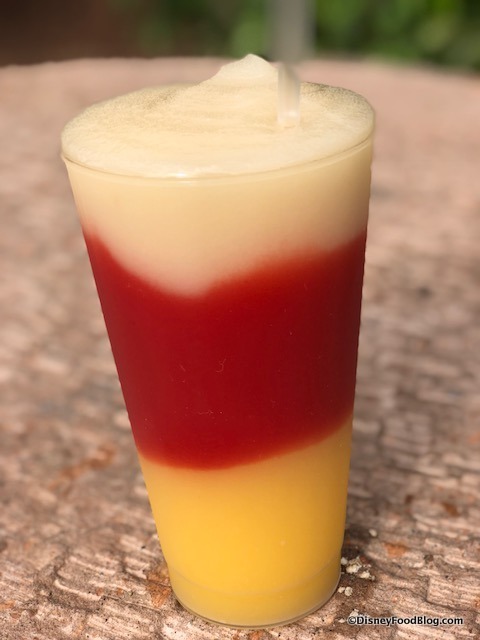 And we ADORED the Spiced Rum Punch Slush at the Alsace Holiday Kitchen, which was brand new for 2017’s Festival of the Holidays! This frozen blend of Spiced Rum, Rhum Clement V.S.O.P., orange and pineapple juice with cinnamon is like Christmas in a glass! New for 2018, France will host L’Art du Cuisine Francaise for the Festival of the Arts. 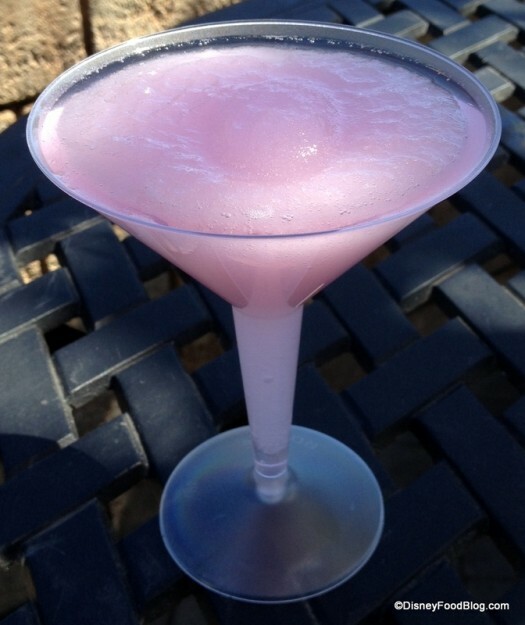 We can’t wait to stop by for the Frosé: Frozen Côtes de Provence Rosé Wine with Grey Goose Vodka and peach purée. We also have a non-alcoholic sip on our list, and you’ll find it in Pandora, the newest land in Animal Kingdom which opened in May 2017. Pongu Pongu, the land’s drink station, plays host to the as-pretty-as-it-is-tasty Night Blossom. This frozen blend of limeade, apple, and pear puts the emphasis on the pear, which lends its unique flavor to the drink and keeps it refreshing instead of overly tart or sweet. 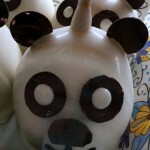 And the passion fruit boba balls are such a fun touch! Well, hopefully that gives you an idea (or five!) 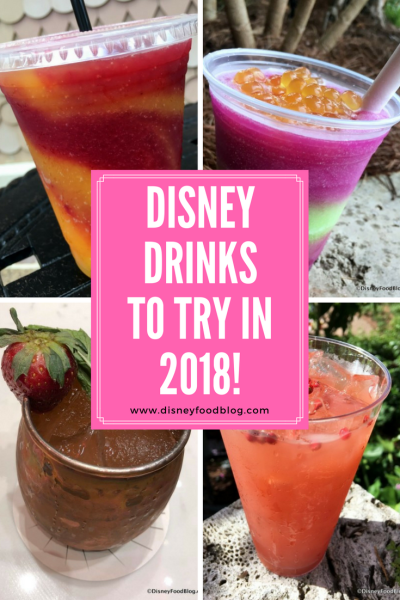 for a few Disney drinks you should make a resolution to try in 2018! CHEERS!! 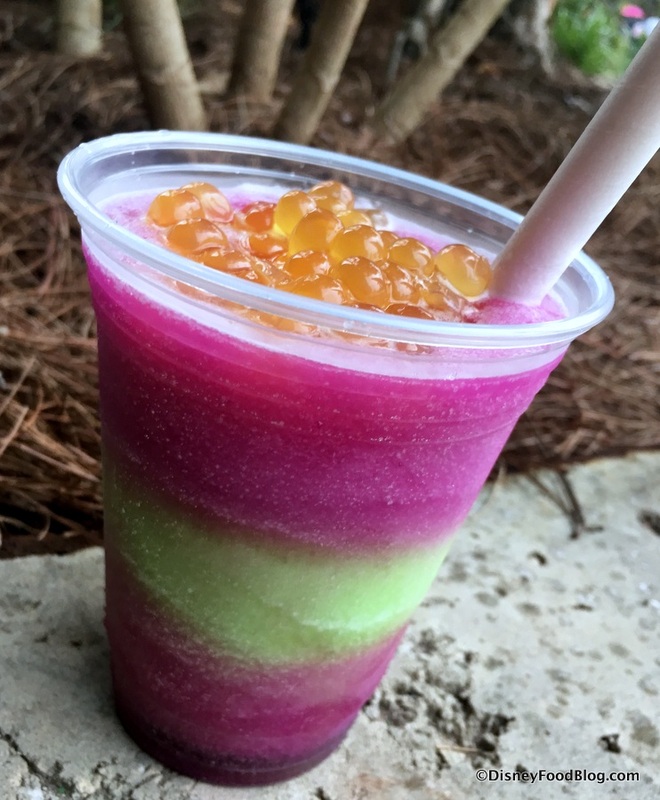 Which of the latest Disney drinks are you most excited to try in the new year? Please let us know with a comment! 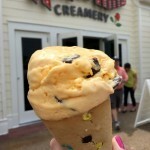 « Where to Find Disney Dole Whip Without A Park Ticket!